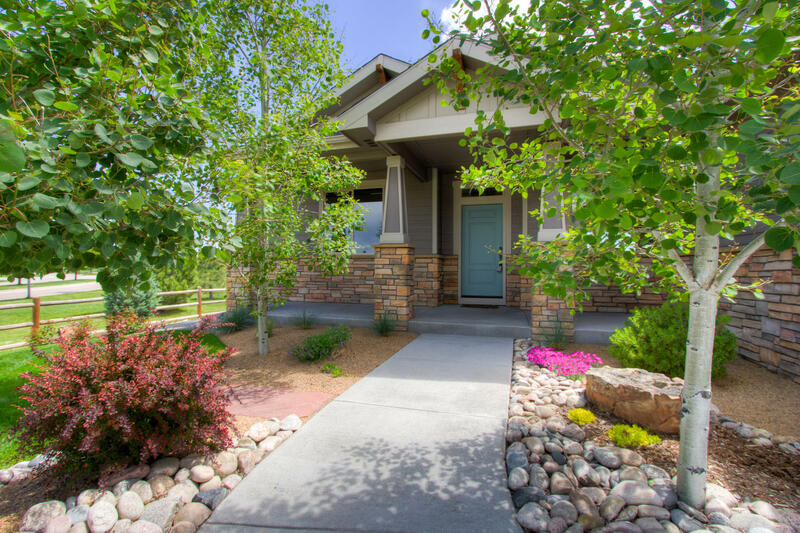 Superior Custom Quality surrounded by Open Space on the corner of a cul de sac! 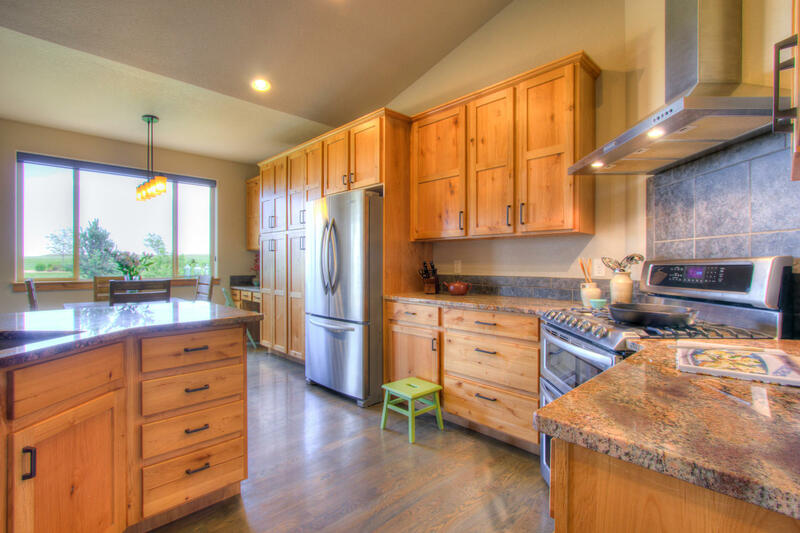 At 3,339 finished square feet and 5 spacious bedrooms, 4 baths and an Oversized, fully insulated 3 car garage! Lightly lived and masterfully crafted by Philgreen Construction (winner of the 2016 Green Builder of the Year award) in 2012. Open concept Ranch – Modern Craftsman exuding character with Knotty Alder shaker cabinetry casing & trim, Shiny Granite Slabs (Crème de Bordeaux), White Oak hardwood Flooring & Newly finished full Basement with 9ft ceilings! 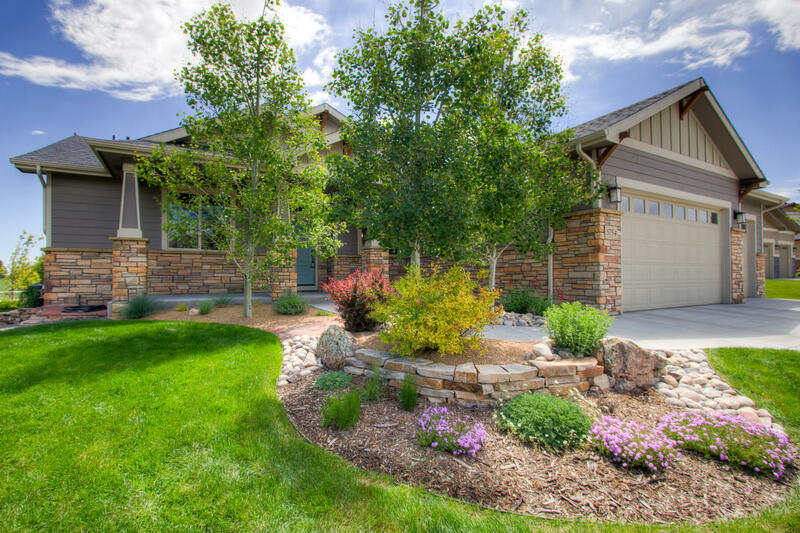 Oversized 3 car garage features 8ft doors, Idyllic Colorado Landscaping, 2 new Pergolas shelter both gorgeous patios, perfectly sited comfortable Outdoor living! Rich with architectural details and features: tankless hot water heater, high Efficiency furnace, west facing and east backyard, solar shades, Massive eat-in chef's kitchen with Gas range (all stainless appliances) and vaulted ceilings on the main floor & now serviced by the New High Plains STEM school! Gas Grill included off the main patio and all appliances! Wood Firepit, Convenient Built-in Desk in kitchen, Gorgeous stone Gas F/P. Beautiful/peaceful setting & fantastic amenities (Pool, Tennis, Clubhouse, trails, skate park) in HighPointe Estates! Sellers interested in selling furniture too. Apple, Cherry and Herb Garden, Passive Radon, HVAC runs into 3rd garage bay, could be an ideal studio, exterior walls insulated & shared wall & easy to remove shared wall - no electrical or plumbing. Serene setting!